Mike Greene - For Shaw Media Second place elite finisher Brian Gowiski focuses on an obstacle during the Spartan Race: Chicago Super 2016 Saturday, June 11, 2016 at the Richmond Hunt Club in Richmond. 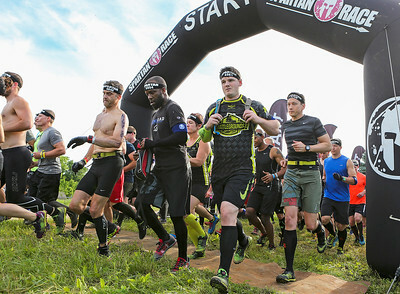 Mike Greene - For Shaw Media Participants take off from the starting line during the Spartan Race: Chicago Super 2016 Saturday, June 11, 2016 at the Richmond Hunt Club in Richmond. 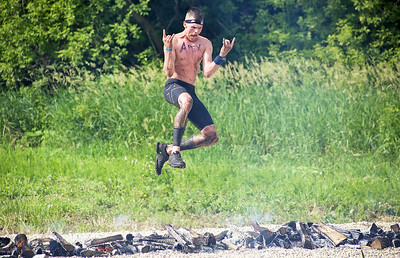 Mike Greene - For Shaw Media A competitor strikes a pose while jumping over fire during the Spartan Race: Chicago Super 2016 Saturday, June 11, 2016 at the Richmond Hunt Club in Richmond. 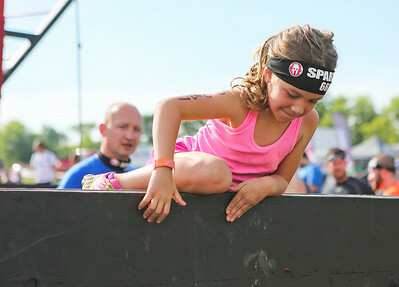 Mike Greene - For Shaw Media Alexa Hagberg, 6 of Franklin Park, practices before participating in the kids heat of the Spartan Race: Chicago Super 2016 Saturday, June 11, 2016 at the Richmond Hunt Club in Richmond. Mike Greene - For Shaw Media Third place elite finisher Ryan Kent pauses to soak in the moment during the Spartan Race: Chicago Super 2016 Saturday, June 11, 2016 at the Richmond Hunt Club in Richmond. 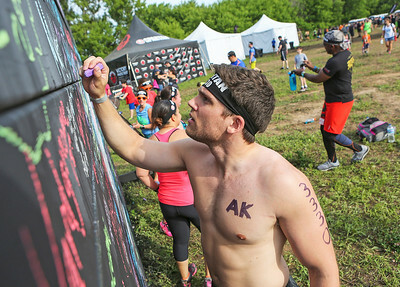 Mike Greene - For Shaw Media Patrick McDermott, of Chicago, signs the chalk board before competing in the Spartan Race: Chicago Super 2016 Saturday, June 11, 2016 at the Richmond Hunt Club in Richmond. Mike Greene - For Shaw Media Roona Moore, center, receives help with her bib number from Lorrie Headley, right, as Becky Williamson watches on before the start of their heat of the Spartan Race: Chicago Super 2016 Saturday, June 11, 2016 at the Richmond Hunt Club in Richmond. 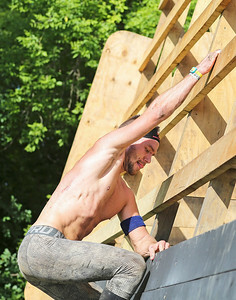 Third place elite finisher Ryan Kent pauses to soak in the moment during the Spartan Race: Chicago Super 2016 Saturday, June 11, 2016 at the Richmond Hunt Club in Richmond.